Courtesy of Gina Roseberry, Henderson Land Investment Co.. Roll up your sleeves and finish this 3200 sq.ft, 4 bedroom home on 4.6 acres. Home was gutted at one point and reworked with plumbing, electrical, HVAC and drywall. Large living room that is open to the entry/dining area. xD; xA;Kitchen is temporary cabinets and seller is taking all of the appliances. Full bath on the 2nd floor and half bath xD; xA;on the first floor are complete but master bath is plumbed for double sink vanity, shower and tub but no xD; xA;fixtures. Interior needs finishing trim, closet doors etc. Attached garage has the door removed, a window xD; xA;installed and is currently used for storage. Could be converted to living space or returned to a garage. xD; xA;Detached 30×60 garage/outbuilding with concrete floor and partially insulated. Home sits back off the road xD; xA;with lots of room for your toys, kids or critters. Lots of square footage for the dollar. Priced for a quick as is xD; xA;sale. Directions: Take SR 235 south of US 36 or north of SR 55 to Wolcott Road. Turn west and go to address. 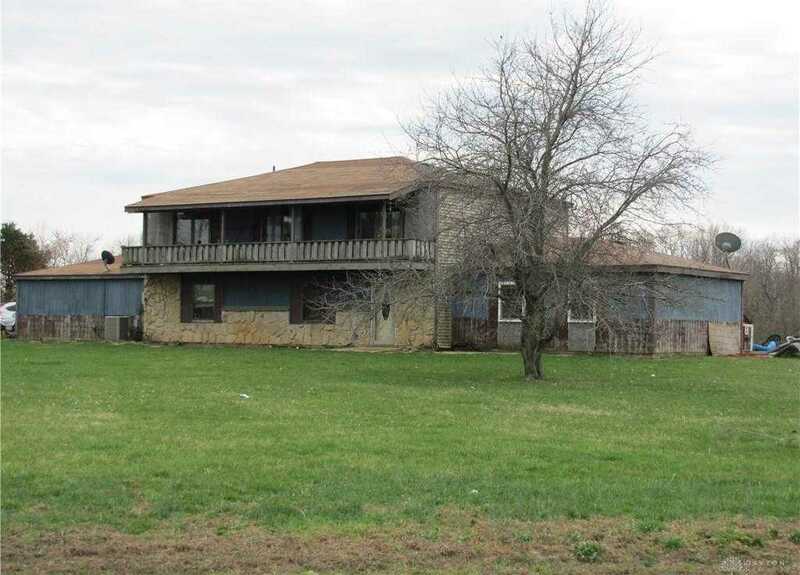 Please, send me more information on this property: MLS# 788263 – $169,900 – 12893 Wolcott Road, Saint Paris, OH 43072. I would like to schedule a private showing for this property: MLS# 788263 – $169,900 – 12893 Wolcott Road, Saint Paris, OH 43072.